As children, we have played several games that were designed to shape our character. One such popular game called Simon Says was played enthusiastically and we were all asked and expected to follow the instructions of the leader (Simon) and if we failed to obey orders, we lost in turn and the last one standing won the coveted prize. 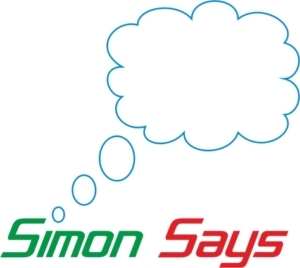 In today’s world of cut throat competition where the slightest irritation makes one lose a customer to another, Simon is your guest and what Simon Says becomes invaluable feedback which you can only ignore at your peril. Hence we bring you Simon Says, a powerful tool to act as your listening post for guest reviews, hear them now in real-time and resolve customer issues even before they leave your restaurant with an unpleasant experience which they will otherwise share with their friends and strangers on multiple platforms eager to record what your customers have to say and speak about your service, convert these negative situations in truly WOW moments which will also be recorded on the same platforms and convert lost customers into multiple opportunities. Try Simon Says, and see what a difference it makes to your Guest retention and Loyalty. Comparisons across your restaurants for benchmarking standards. Graphical and numerical representation of data. Escalation matrix, open and closed cases. It’s a fact that 80% off all dissatisfied customers can be reclaimed, if you address their issues quickly and professionally. Our unique customer feedback system will help capture feedback in real time enabling immediate attention and resolution to ensure customers for life.